Pink-fleshed, sweet Organic Cara Cara Oranges are perfect for snacking or fun for salads, desserts and prepared with fish. 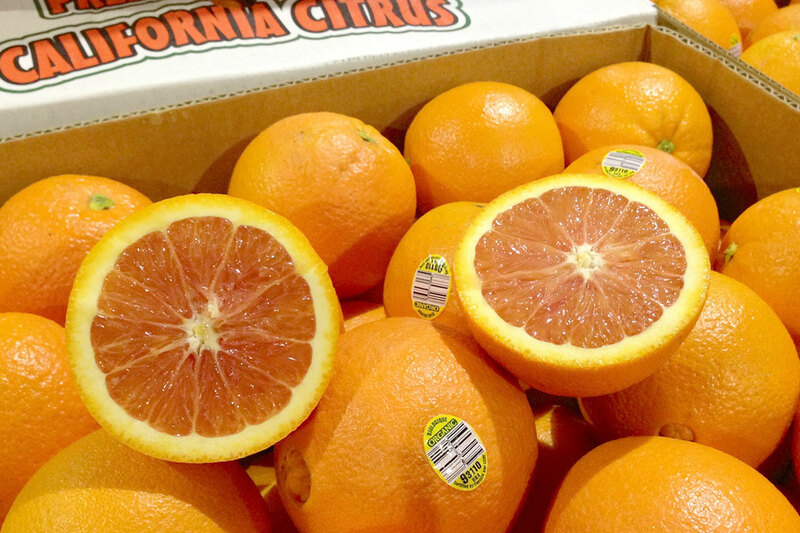 This special variety is in peak season from organic California citrus groves January through March. Enjoy them while they’re at their best! Pink Flesh Navels? Cara Cara Oranges! Cara Cara Oranges are in peak season from January through early April! If you like Oranges, then Cara Cara’s are worth a try for tasty snacking. I love ‘em! Why? They’re Navel Oranges…with upgrades! On the outside Cara Cara Oranges look exactly the same as regular Navels. Inside the beautiful and exciting differences are revealed. 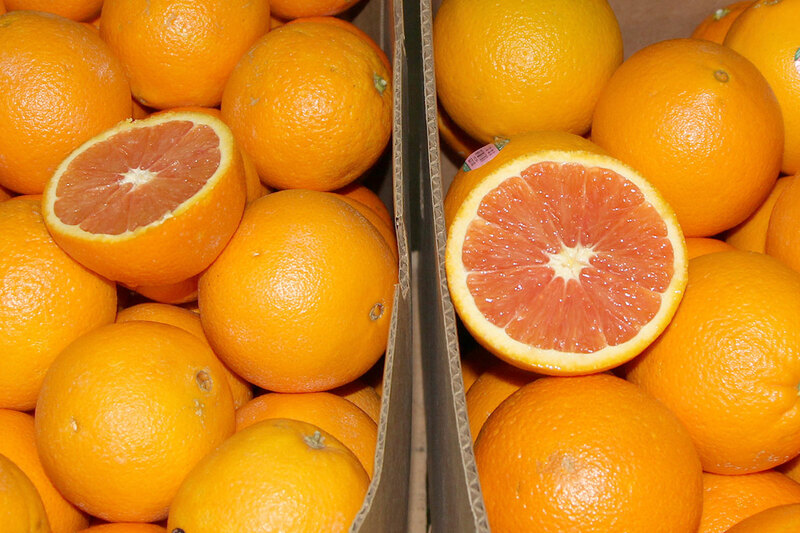 Cara Cara Oranges have pink to light red flesh which is seedless like normal Navels, but the straight-forward sweetness is balanced by a mild Strawberry to Cranberry-like finish. Cara Cara’s tend to be quite juicy and that tasty pink flesh is not only packed with Vitamin C, but is also an excellent source of Lycopene. 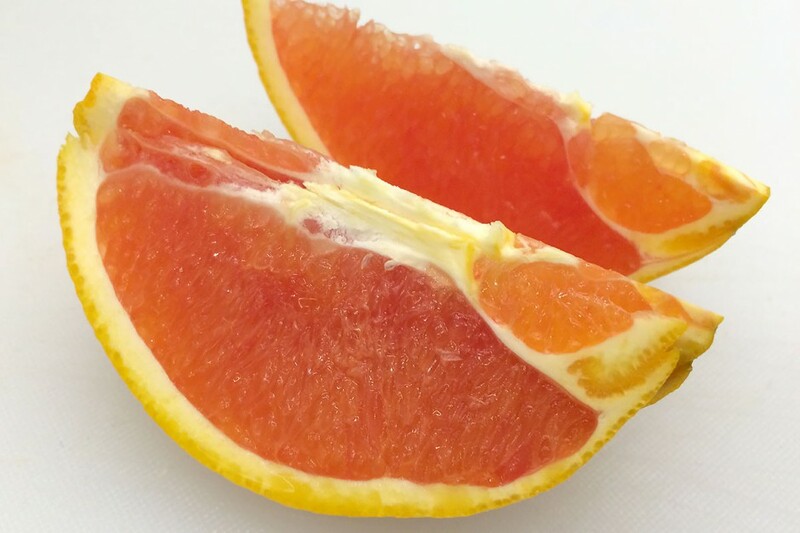 Cara Cara Oranges have pink to light red flesh which is seedless like normal Navels, but the straight-forward sweetness is balanced by a mild Strawberry to Cranberry-like finish. Regular Organic Navel or Organic Cara Cara Navel? Check that PLU sticker. Organic Cara Cara = 93110. Select Oranges that feel heavy for their size – a sign of juiciness. They don’t have to be hard, but the orange should not feel so soft that it is squishy either. Skin scars and shape do not impact the internal fruit flavor, but oranges with sunken areas, black spots or extra soft areas should be avoided. Keep Oranges refrigerated to extend shelf life, especially here in the later part of the season when sugars are running higher. Room temperature is fine for a day or two, but will cause dehydration thereafter or allow decay to happen.